Schedule your event. 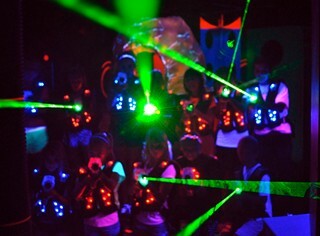 Contact Lazer Kraze by phone or email to schedule your event. Fundraisers can be schedule on Tuesday, Thursday and Friday nights. Step 2: Promote & Promote ! Create and distribute a flyer, email event info, include in your newsletter, post on your website, post in local businesses. Step 3: Come Have Fun !! Bring your friends and family and have a blast while earning money for your organization. Lazer Kraze has fun for ages 4 to 99. 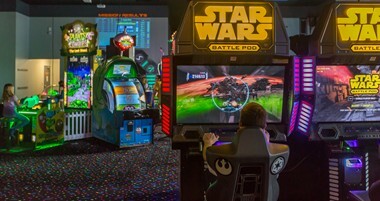 Multi-level black lite Laser Tag, Indoor Trampoline, Cyber Sport, and a huge Arcade. Bring the whole family order fresh made pizza and make a night of fun all while earning money for your organization. Schedule a private amount of time for one or more attractions for your group. You pay a flat rate, then you sell tickets to your group up to normally 120 tickets. Earn up to $1,000! Call for more details. Suggestions to Make Your Fundraiser a Success! Schedule in advance. Give yourself plenty of time to promote your event. Pass out flyers, promote on your website and in newsletters, Post flyer at local business, community centers etc. Send out a flyer or email two days before the event. For school groups avoid scheduling on nights with sporting events. Have an event coordinator be at the event to welcome supporters. Setup a table with some signs about your organization. All promotional materials must be provided to Lazer Kraze for approval before distribution. Fundraiser events are held on Tuesday, Thursday and Friday nights excluding holidays or school vacation days. 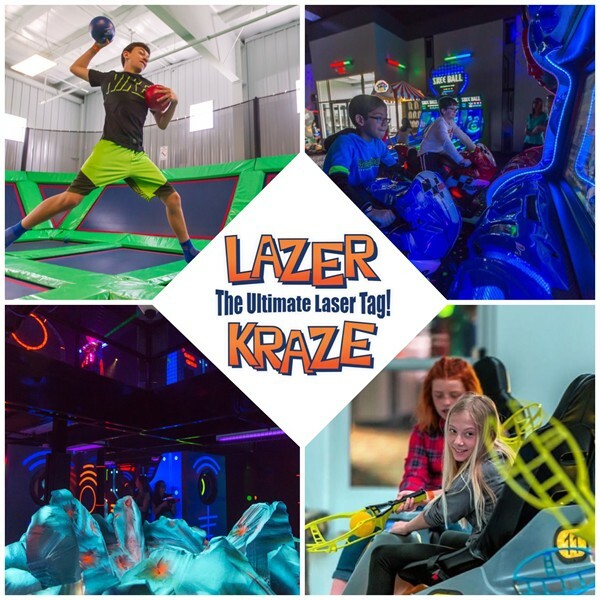 When receiving a percentage of sales, purchases must be designated by the customer for the group fundraiser to a member of Lazer Kraze staff at time of purchase. We suggest you provide a event flyer for supporters to present when they make their purchases to make sure your organization gets credit for all purchases.